You can start Oracle Weblogic Server from the command line. This is good for test purposes but not very likely to be used in a production environment. The problem with the last option is that, if you stop the service, the Java Virtual Machine (and thus the Oracle Weblogic Server) simply gets killed. This can result in corrupt files, database connections that aren’t closed or even transactions that are started but won’t be stopped. A possible workaround is to stop each Weblogic server in the domain from the admin console. This not only time consuming but also not the preferred way of working. In order to provide a proper shutdown, the beasvc.exe has an option called “stopclass”. It specifies a java class with a stop method that will be invoked at the moment the windows service gets stopped. Although you can write any kind of java code in the shutdown class, we will focus on writing code for a decent shutdown for both admin servers and managed servers. The Admin server sends the shutdown request to the corresponding server. This means that the admin server sends a request to itself in case of a shutdown. 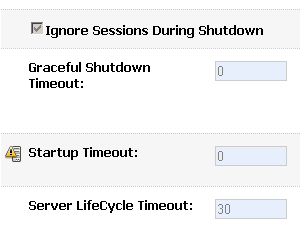 The shutdown request for a managed server passes first via the admin server back to the managed server. // the admin.url is a property to indicate the location of the admin server on the admin server. It refers to itself, but is necessary to perform a proper shutdown. You can add it manually as a –D property when you install the server as a windows service. The name of the property can be any random name. //This is the same as a forced shutdown, but not the same as killing the JVM. We don’t do a normal shutdown in case the server is not in the RUNNING state. // You can do nothing over here. In case the shutdown call will fail, windows will wait for the service to end, but that won’t happen. It will kill the service anyway after a while. Thanks for sharing this information. I did have a question. 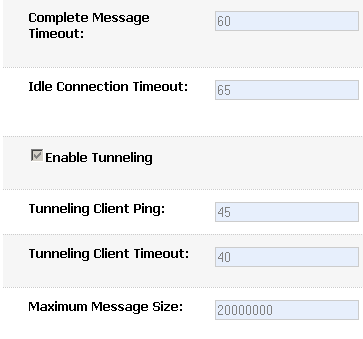 I am not clear why “enable tunneling” is required for all servers? In my deployment the “stopclass” class seems to be working fine with only the Admin server having tunneling enabled? I think we had to do this because our admin server is in the intranet while our managed servers are running in the perimeter network. These are other network segments, separated by a firewall, and thus http tunneling was the only way to allow the communication between admin and managed servers. In our case it didn't work without enabling the tunneling option. Your admin and managed servers are probably in the same network segment? In that case native T3 communication would be possible. Indeed my managed servers are on the same network. In fact they are on the same server  Thanks for the explanation.